Want to get spa visitors talking about their amazing experiences? Remember to pamper them with the best white bath towels! Towel Super Center's generous 20" by 40" premium bath towels are constructed from 100-percent cotton. Not only are they perfect for every guest, but they're available at wholesale pricing. 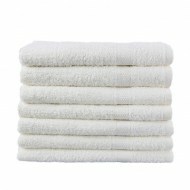 Buy the perfect number of bath towels to serve your spa clients on the busiest days. Order now and get prices as low as $15.99 per dozen when you order 20 dozen or more towels from our site. For years, cotton has been the go-to fabric of spa owners and managers who want to offer their clientele the best of the best. What makes cotton so appreciated? It's naturally thirsty and lasts wash after wash.
Cotton fibers wick up moisture rapidly, making them ideal for spa uses. However, they also let go of any liquids quickly, too. This means it takes fewer towels to dry off. At the same time, wet towels dry fast to potentially save your facility money on utility costs. Additionally, the premium cotton construction of these wholesale bath towels is second-to-none. Because the fibers have been woven efficiently and tightly, each white bath towel holds together beautifully. Expect superior performance under normal wear for far longer than subpar towel choices. Don't own a spa? You could still get plenty of use and value from premium bath towels! Many establishments prefer to order spa-quality wholesale bath towels for their patrons. For example, hotels that want to impress their visitors regularly supply bathrooms, gym areas and onsite salons with these white bath towels. The same is true for country clubs, fitness clubs and even schools. If you're in need of a premium bath towel, consider purchasing these 20" by 40" white towels made of all-cotton. Softness never came at such an economical price! Looking for a towel that's easy to keep bright and fluffy? You've found it! Simply launder your new white bath towels using your favorite detergent. Instead of bleach, consider adding a bleach alternative for extra whitening power. Avoid using liquid softeners, but feel free to add dye-free, scent-free dryer balls for incredible fullness and a lush feel. 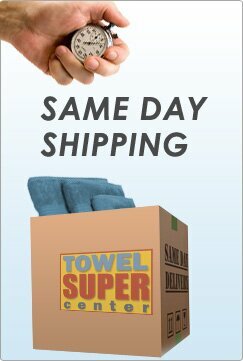 At Towel Super Center, we enable you to stock up and spend less. Not only can you get wholesale white bath towels for spas and salons, but you can purchase all the towels you need for your home or office. Why spend more than you want on the towels you need? 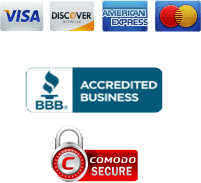 We make it fast and convenient to get high-quality towels in the sizes and colors you desire. Need bleach-resistant colorful towels? You'll find them at our site! 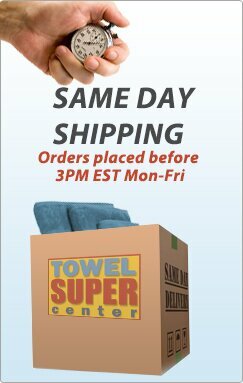 Place your order for the best wholesale towels you can find right now! Remember that the more you purchase, the lower your per-towel price.